Grab their Easter basket and hop on in for this eggcellent event! 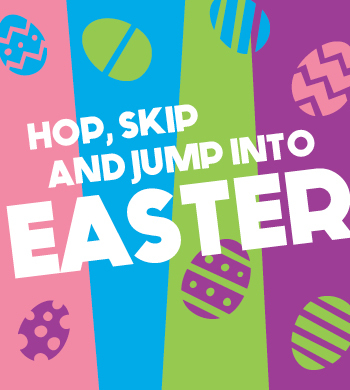 Enjoy an egg hunt and hop around in our arenas with the Easter Bunny during this special open jump that's guaranteed to be fun for all ages. Space is limited. Reservations recommended. Only paid reservations guarantee admission. Please arrive 10-15 minutes early to get checked in.